Home › Chicago Vol. 4, Shirt 20: "Fire 2018"
Chicago Vol. 4, Shirt 20: "Fire 2018"
Available EXCLUSIVELY ONLINE through September 30th October 3rd, then it's gone! $8* from every sale will be donated to the Chicago Fire Foundation. The Chicago Fire's goal on the field is to play hard and win. Its goal off the field is to contribute to the quality of life in Chicago and its surrounding communities. Through the Chicago Fire Foundation, the Fire is able to give back to the community by developing programs that reach out to Chicagoland's community. 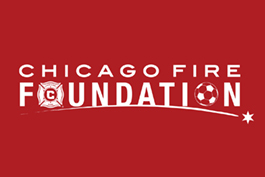 Since 1998, the Chicago Fire Foundation, the charitable arm of the Chicago Fire Major League Soccer Team, has made significant contributions to enhance the lives of disadvantaged youth throughout Chicagoland.